Gujarat government has silently developed the second home for Gir Lions at Rajkot district’s Rampara vidi near Wankaner. Couple of years back, five lions and three lionesses were shifted to Rampara vidi from Gir sanctuary. The area was declared highly protected, and even VVIPs are not allowed to visit Rampara vidi. So far the project has achieved three major successes; (1) successful shifting of lions and lionesses from Gir to Rampara, (2) birth of two cubs and their healthy growth in 2011, and (3) birth of another two cubs in 2012, of which one is survived after some efforts. The smooth project faced some action this month after lioness ‘Jambudi’ gave birth to two cubs on 4 April. Due to low weight of new born cubs, and neglect of mother lioness, one cub succumbed to death, while another is healthy after medical treatment. “One cub died due to neglect from mother lioness, the other one’s weight dropped to 1039 gm and was taken to Sakkarbaug zoo for treatment on 9 April. Now it is healthy and latest figure of its weight is 1666 gm,” a source said. Two cubs that took birth earlier at Rampara are now one-year-old and need partner. 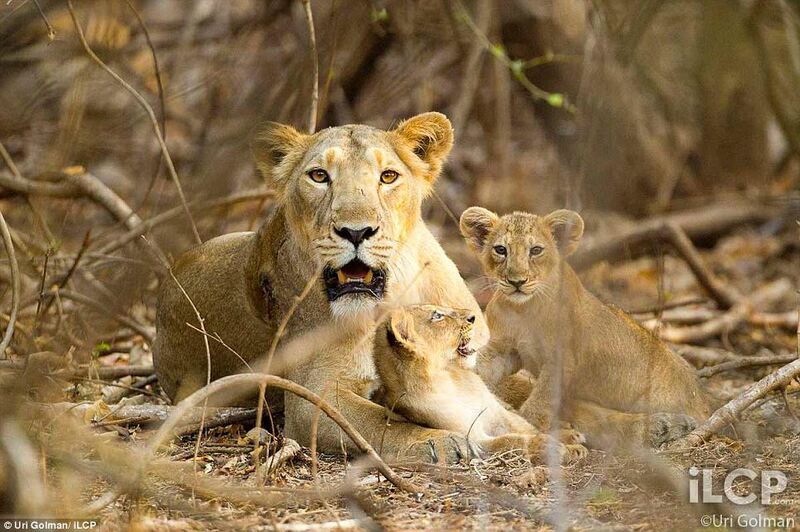 It is therefore planned to shift two more lionesses from Gir for them. It should be mentioned that to create three gene pools to conserve the genetic diversity of this endangered wild cat the state forest department has planned to form one gene pool each in Rampara Virdi, about 40 km from Rajkot, in Sakkarbaugh Zoo of Junagadh and Hingolgadh in Jasdan taluka of Rajkot district. The project has so far kicked off only at Rampara vidi. Rampara pool helps in conserving lions outside the protected environment. Creation of new pool is also important considering the fact that if the entire population of Asiatic lions is confined to just one area, they would be highly vulnerable to any kind of biological, climactic or man-made catastrophe. A major disaster within the Gir could wipe out the entire subspecies at a stroke. Likewise, a disease outbreak could decimate the lion population. Creation of new pool also eases the burden of Gir sanctuary , which has around 359-odd lions. The capacity of Gir was just 250-270-odd lions. The gene pools also work as a breeding ground for the Asiatic lions.